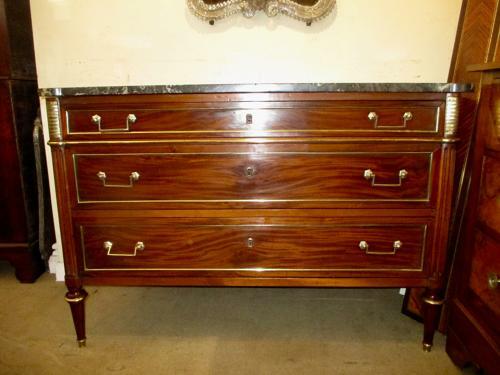 A fine quality mahogany Directoire Commode dating to the late 18th Century. Good colour and excellent condition, with three large drawers all running well and it’s original shaped grey and white marble top above, with original handles and locks. Good proportions, not being too tall.